University faculty, Industry members, and students met at the University of Texas at Dallas on October 9th for the 2nd Semi-Annual Industrial Advisory Board Meeting of the National Science Foundation’s (NSF) Industry/University Cooperative Research Centers (I/UCRC) iPerform Center for Assistive Technologies (AT) to Enhance Human Performance. 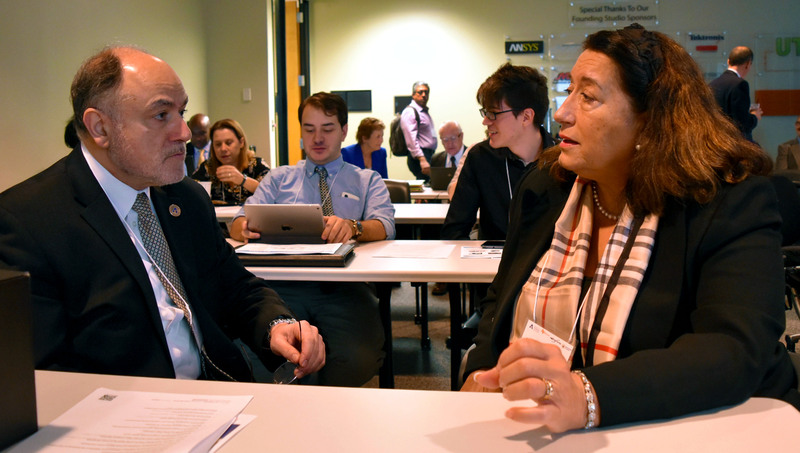 The mission of the center is to bring together university and industry researchers to advance basic and applied research in Assistive Technologies in order to enhance human performance. Researchers at the I/UCRC iPerform Center currently are working on computer-based tools and methods to increase, maintain, or improve functional capabilities of people with disabilities and to enhance the productivity of well bodied people.  The iPerform Center is an NSF I/UCRC established in the Fall of 2014. The iPerform Center currently has two sites, one at UT Dallas and the other at the UT Arlington and will soon expand to national scale, with the likely addition of three other sites. Dr. Ovidiu Daescu, a UT Dallas professor in Computer Science and principal investigator, leads the UT Dallas site, and Dr. Fillia Makedon, a UT Arlington Computer Science and Engineering professor and principal investigator, is the director of the UT Arlington site. Last April, the NSF awarded UT Dallas $325,000 for five years to create iPerform, with the expectation that the researchers involved would attract industry partners that would pay a fee to fund research relevant to their business, and have access to other research that is being done at the center. 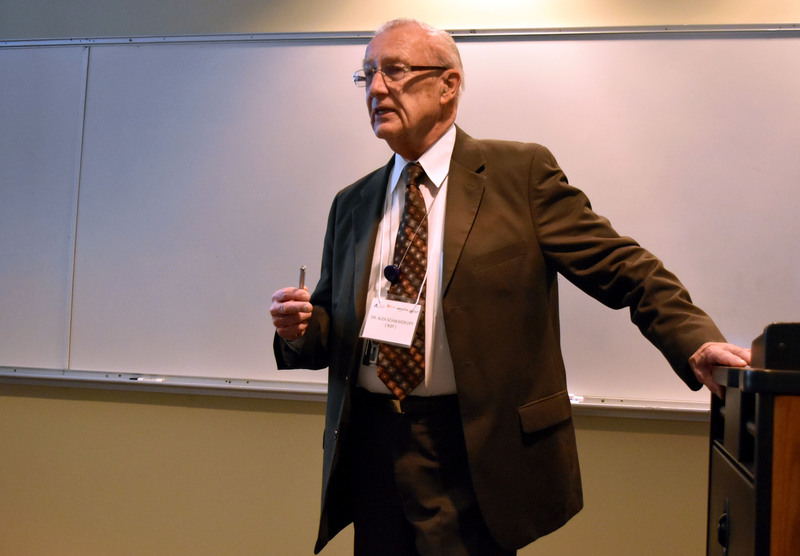 Researchers at UT Arlington received separate funding to participate in the center. For every project that is funded, a majority of the funds will go toward supporting PhD students. The I/UCRC program provides high-quality interdisciplinary education. Nationwide, the Centers have produced several thousand MS and PhD graduates. UT Dallas investigators involved in the center include Dr. Ovidiu Daescu, lead investigator and an expert in algorithm design and optimization for biomedical computing; Dr. Gopal Gupta, co-investigator, head of the UT Dallas Computer Science Department, and an expert in programming languages and applied logic; Dr. Balakrishnan Prabhakaran, co-investigator, professor of computer science, and an expert in multimedia systems and telemedicine; and Dr. Dinesh Bhatia, co-investigator, professor of Electrical Engineering, and expert in electric circuits and design. Many more faculty members from the Erik Jonsson School of Engineering and Computer Science, across all departments, also are involved in the center, including Yang Liu, Eric Wong, Ryan McMahan and Murat Kantarcioglu (CS), Carlos Busso (EE), Yonas Tadesse and Ann Majewicz (ME), and Danieli Rodrigues and Robert Gregg (BE). Assistive technologies have a wide variety of applications, from improving workplace safety and training, to enhancing sensory and cognitive capabilities, and delaying physical and cognitive decline in chronic conditions. In health care environments, Assistive Technologies tools can enhance sensory and cognitive capabilities, improve training & delivery, enable remote monitoring, delay physical and cognitive decline in chronic conditions, and personalize rehabilitation. They can predict risks for the elderly who live alone, monitor sleep disorders, design better prosthetics, robotic assistants, therapy games and tools to monitor mental/physiological conditions, such as depression, epilepsy, or heart problems. 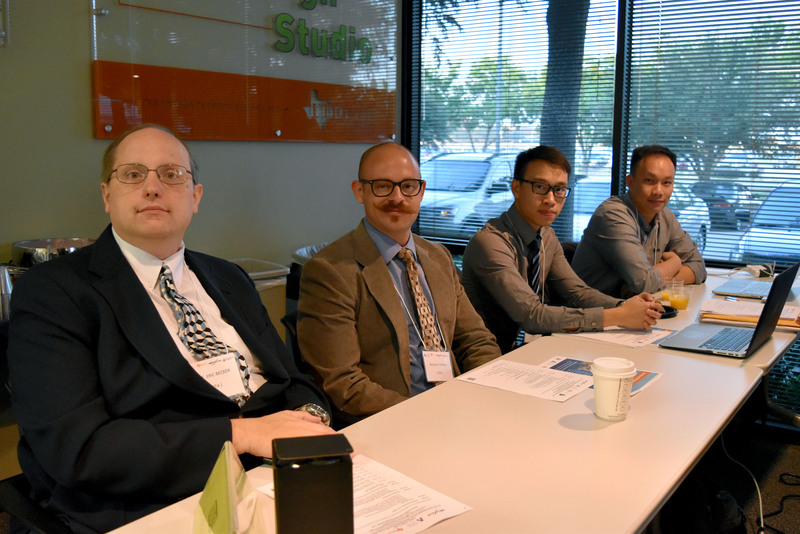 The meeting brought in University, industry researchers, and representatives who were interested in joining the center. 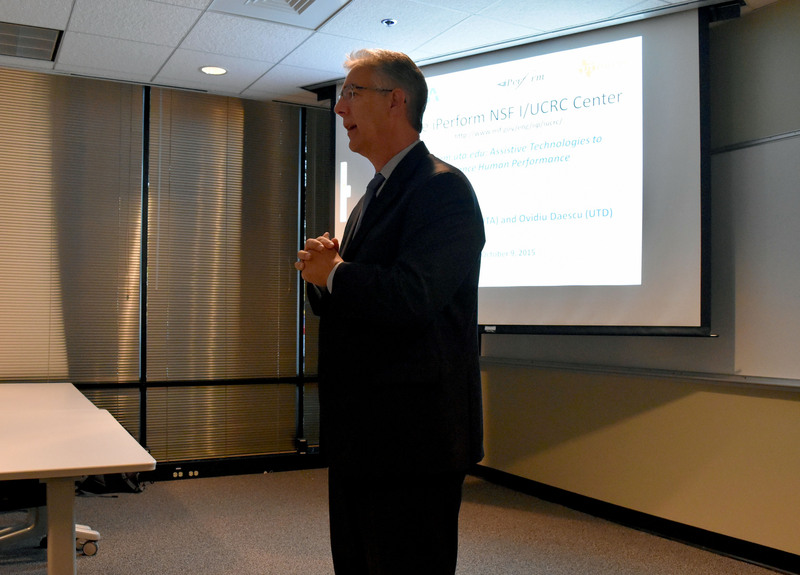 Universities interested in joining the UT Dallas and UT Arlington’s iPerform Center include Northeastern University, University of South Florida, and the University of Texas at San Antonio. iPerform Center Industry members included Bosch North America, Texas Instruments, Inc., Raytheon Co., National Institute of Standards and Technology (NIST), National Center for Scientific Research – DEMOKRITOS, Barret Technology ®, Inc., Agillaire, Inc., Dallas Veteran Affairs Research Corp. (DVARC), and the Veteran Affairs North Texas Health Care System (VANTHCS). “We are a newly established I/UCRC center that, due to the huge impact assistive technologies are already having on an aging population and the impressive leverage on research money enabled by center participation (an estimated 10x, currently), I foresee will rapidly expand to national level. I expect a significant increase in industry participation in the center in the following years, once iPerform gets national recognition. 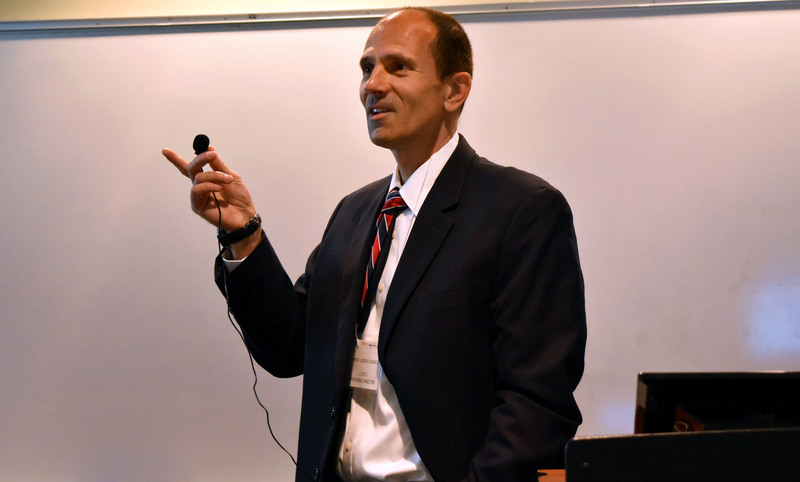 Faculty from across all disciplines can be involved in the center, allowing to cover all aspects of assistive technologies”, said Dr. Ovidiu Daescu, the Director of UT Dallas site. Dr. Ovidiu Daescu, UT Dallas Computer Science professor and the UT Dallas iPerform Site Director. 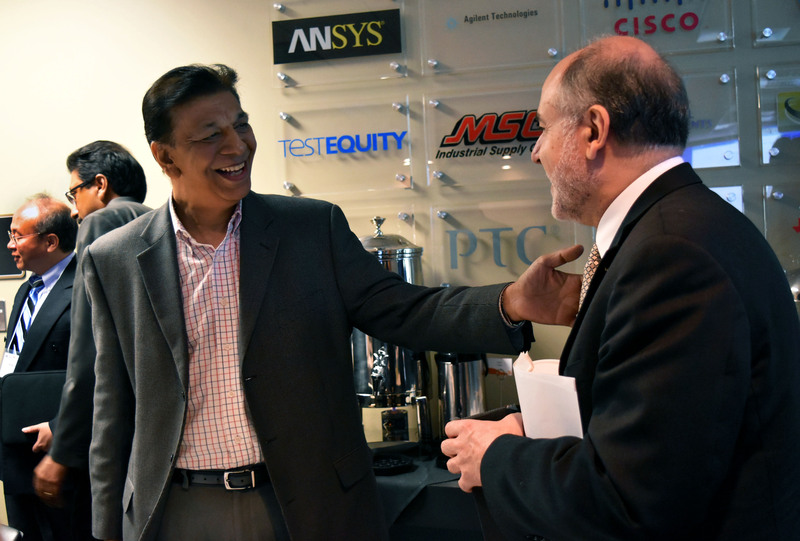 UT Dallas CS professor, Dr. Dinesh Bhatia and UT Arlington Dean of the College of Engineering, Dr. Koshrow Behbehani. 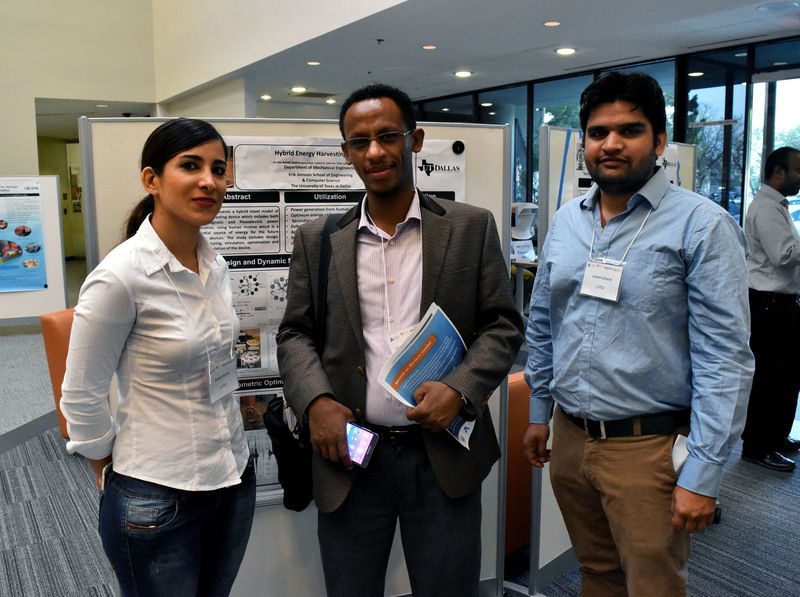 From UT Dallas Dr. Yonas Tadesse (Middle), Armita Hamidi (Left), and Mohammad Akram (right) standing in front of their poster for Hybrid Energy Harvesting Device. 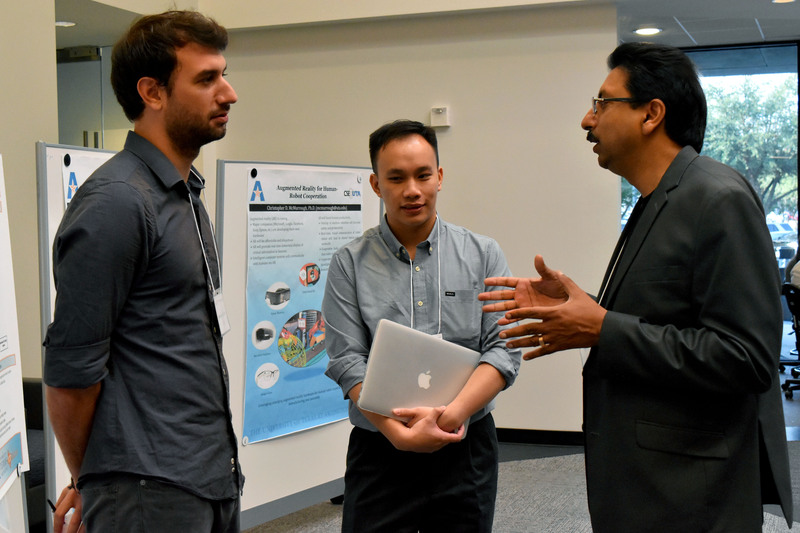 Dr. Gopal Gupta speaking to UT Arlington students Michalis Papakostas and Benjamin Chebaa. 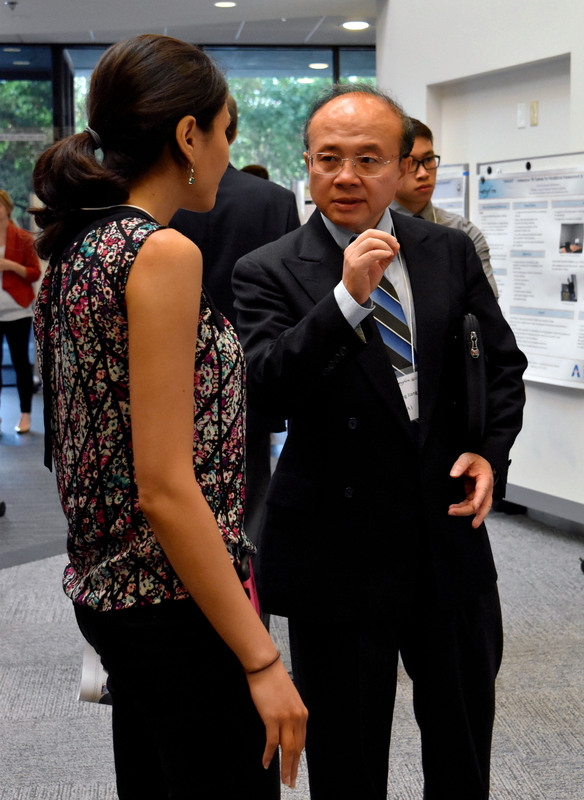 Dr. Hong Jiang, Chair of the Computer Science and Engineering Department at UT Arlington, discussing the posters at the iPerform meeting. The UT Dallas Computer Science program is one of the largest Computer Science departments in the United States with over 1,600 bachelor’s-degree students, more than 1,100 master’s students, 160 PhD students, and 80 faculty members, as of Fall 2015. 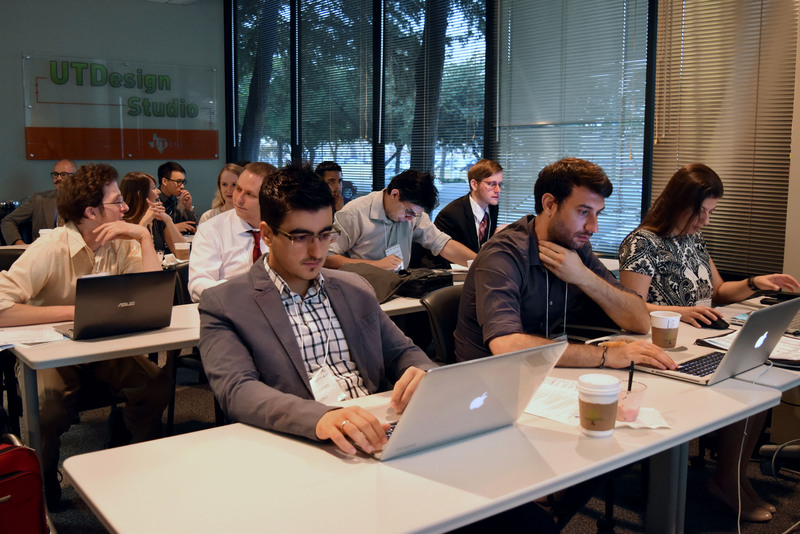 With The University of Texas at Dallas’ unique history of starting as a graduate institution first, the CS Department is built on a legacy of valuing innovative research and providing advanced training for software engineers and computer scientists.